Very cleansubmitted by Thailyn W. - Apr 05, 2016 |Recommended: Yesfriendly atmosphere and staff is always there to help when needed. Good apartments for studentssubmitted by Meghan G. - Feb 24, 2016 |Recommended: YesI like how friendly the staff is and how willing they are to help you. For example, if you don't have any change to do laundry they can break your bills at no extra cost to you. They also alert you when a package arrives for you. While it is very easy to hear my neighbors, it is also an apartment complex. So you kind of expect that. Quiet, clean, safe, good amenitiessubmitted by Miles R. - Feb 20, 2016 |Recommended: YesThe units are amazingly clean and well maintained. Super convenient living option for students. The area is surprisingly quiet. Overrall Satisfiedsubmitted by Hashim B. - Feb 01, 2016 |Recommended: YesStaff is professional and helpful, maintenance always comes timely when there is a problem. Well kept, easy to navigatesubmitted by Kathryn M. - Jan 04, 2016 |Recommended: YesIt's awesome. The amenities make up for the distance from campus. The staff is awesome and the rooms are huge. Very nice apartment complex. Especially for a first apartmentsubmitted by Ashley M. - Jan 01, 2016 |Recommended: YesDefinitely a nice place to live. Relatively close to a direct bus stop to campus. 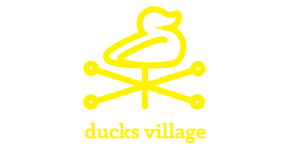 I love Ducks Village. It is the perfect apartment for studentssubmitted by Saabashton W. - Dec 04, 2015 |Recommended: YesCall, now, do it. Seriously, you'll regret it if you don't. It's a good place to livesubmitted by Zaiyi R. - Dec 04, 2015 |Recommended: YesPromising price, large clean room with stable high speed internet and air conditioning. Although it's a bit far from campus and stores, and the walls are not doing so well in blocking noises. Best experience I've had with an apartment to date.submitted by Alexander H. - Nov 21, 2015 |Recommended: YesIt's like a normal city apartment but with a college atmosphere, more so on game days. Great place to live.submitted by Harriet J. - Jul 24, 2015 |Recommended: YesIt's very peaceful and the staff is very helpful.